Oct 1, 2018. 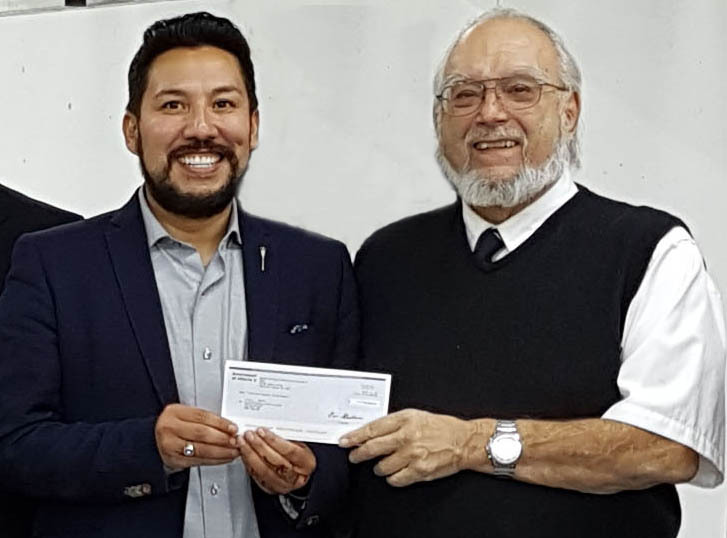 The Honorable Ricardo Miranda, the Minister of Culture and Tourism for Alberta presenting a CFEP cheque to the President of the CRPC. The Calgary Rifle and Pistol Club was pleased to welcome the Honorable Ricardo Miranda, Minister of Culture and Tourism for Alberta, to our club facilities on October 1st, 2018. Joined by a cross section of our membership, the Minister visited us to present a CFEP (Community Facility Enhancement Program) cheque for $62,000 in support of our range expansion.